The annually presented Australian Dance Awards (ADA) recognise and honour professional dance artists who have made an outstanding contribution to dance. First presented in 1986, the awards are a significant part of Australia’s dance calendar and celebrate the diversity and richness of our dance sector. Members of the public have put forward a range of nominees and a panel of dance leaders have selected the shortlist, with winners to be announced at the Australian Dance Awards ceremony at Canberra Theatre Centre’s Playhouse on August 5th. The 2013 shortlist includes David McAllister AM for Services to Dance, Dancenorth and Raewyn Hill for Services to Dance Education, Steps Youth Dance for Outstanding Achievement in Youth or Community Dance, Sue Healey for Outstanding Achievement in Dance on Film or New Media and Antony Hamilton’s Black Project 1 for Outstanding Achievement in Independent Dance. 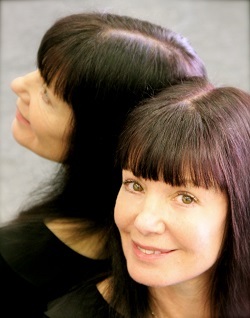 Jackie Hallahan, nominated for ‘Services to Dance Education’. 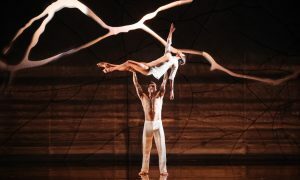 The 2013 Australian Dance Awards will be held in Canberra for the first time this year, as part of the Centenary of Canberra celebrations. 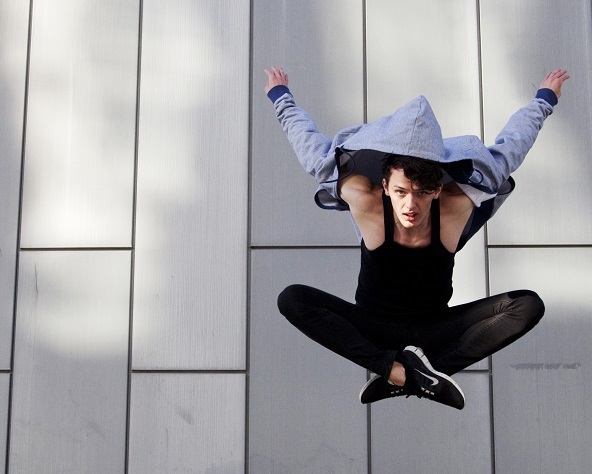 The ceremony is an evening of performances that showcase some of the best Australian dance from across the country and highlighting some of the great local talent Canberra has to offer. The exciting and diverse performance program features Sydney Dance Company, West Australian Ballet, Phly Crew, Ghenoa Gela, QL2 Dance, Force Majeure, Dalisa Pigram and Wayne Scott Kermond and Katie Kermond and dancers. The Australian Dance Awards 2013 are presented by Harlequin Floors with Ausdance ACT for the Ausdance network and dance lovers across Australia. Dance Informa is the proud media sponsor of the awards. Visit www.canberratheatrecentre.com.au to buy tickets or call Canberra Theatre Centre Ticketing on 02 6275 2700. ADT’s ‘Be Your Self’ in nominated for ‘Outstanding Performance by a Company’. Photo by Chris Herzfeld. Rachel Rawlins of The Australian Ballet. Nominated for ‘Outstanding Performance by a Female Dancer’. Photo by James Braund. 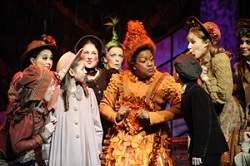 Leah Howard is nominated for ‘Outstanding Performance in Commercial Dance or Musical Theatre’ for her performances in ‘Mary Poppins’. Photo by David Wyatt. Photo (top): Sam Young-Wright by Lorna Sim.